hands on them, these pairs have evolved thanks to a range of styles and materials available, to combine even with your casual clothes. Did you know that the oxford brogue is now worn by women in the form of high heels and by young people as sports shoes? 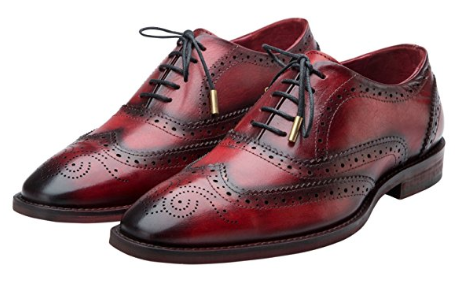 Give a jazz touch to your suit with this pair with full-brogue design and round toe. You can buy it in leather only or leather with suede up. As a modern man, you should consider oxford shoes as a must in your fashion repertoire since they can solve your look for any social and business occasion. What do you think of the Oxford Shoes Men?